Abdominal pain should undergo prompt evaluation with the goal of diagnosing the underlying cause of pain. When the cause is not clear and the patient has concerning signs or symptoms, the patient should be observed closely, and a consultation with a gastroenterologist should be sought. Proper diagnosis of abdominal pain requires familiarity of the abdominal pain syndromes and various clinical presentations. 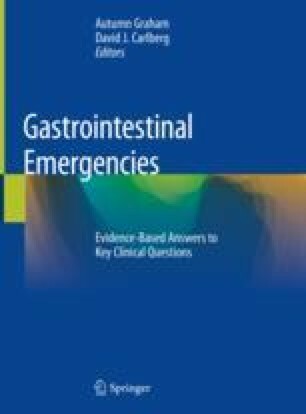 Certain “special populations” like immunocompromised, elderly, and pregnant patients can have unusual presentations of abdominal pain. A high index of suspension is needed for diagnosis of vascular causes of abdominal pain.